We now have a free add-on for MailChimp integration available here. This guide will show you how to add a new subscriber to MailChimp when a user submits a Quform form. In this guide we’ll create a new plugin to contain the code needed for the integration to work. Inside the quform-mailchimp.php file add the following code. * Description: Add subscribers to MailChimp from Quform forms. Click here to get your MailChimp API key. You can alternatively get in MailChimp at Account → Extras → API keys. 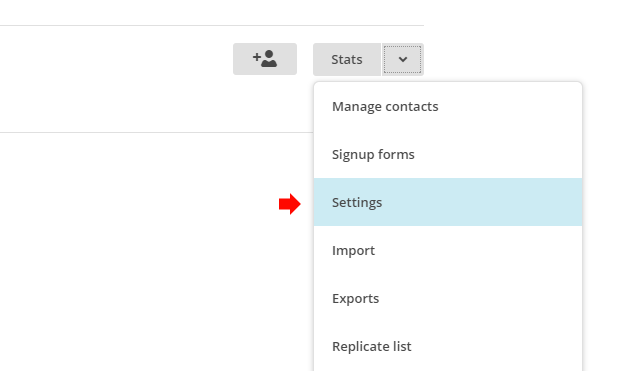 In MailChimp go to Lists, then for the list you want to add the subscriber to click on the down arrow on the right hand side then click Settings. At the bottom of the settings the list ID is displayed. Download the MailChimp PHP API from here and extract the zip file. Put the MCAPI.class.php file into the folder you created in Step 1 quform-mailchimp. Upload the quform-mailchimp folder to the web server at wp-content/plugins then go to the Plugins page within WordPress and activate the plugin Quform MailChimp Integration and you’re done. In the code in Step 1, find this line. Above it, add the following code. If the integration does not work, double check the form ID and email element unique ID are correct in the code. Also make sure to test it with an email address that does not already exist in the list. To debug integration you can log the response from MailChimp to the WordPress debug log. To enable the response logging add the code below to the function, above the line return $result;. Then temporarily enable debug logging then submit the form again and check for an error message in the wp-content/debug.log file. Once you’ve solved the issue you can turn off debug logging.